Busy work day?, relaxing weekend at home?, stuck at the ofice? We're here to serve you with our super fast delivery. You can place an order online and we'll be right over..
Sign up to our mailing list and get up to the minute updates regarding specials, menu changes, events and more!! 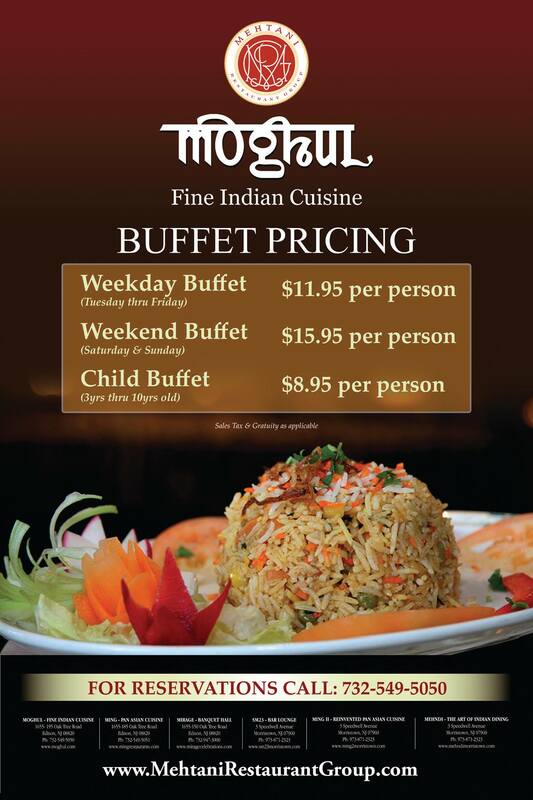 More than twenty years ago we opened our first restaurant "The Moghul Room" in the basement of a New York City hotel. 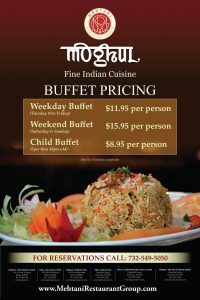 I have to say, I was VERY surprised with the service that I have received from Moghul. I was greeted very well, the servers were very courteous always asking how everything was, and I left feeling very well served.